This is a keeper. I’ve made it twice before and this is one I’d prefer not to share with anyone in my house. Call me selfish but its that good. Have I mentioned how much I missed eating this way? I love cabbage rolls and I love enchiladas so this Fast Paleo recipe is perfect. Don’t mind the cheese, I have to get my family to eat this stuff somehow. I made a few additional non-cheese in a separate dish but they didn’t look as pretty. Hope you enjoy as much as I did! 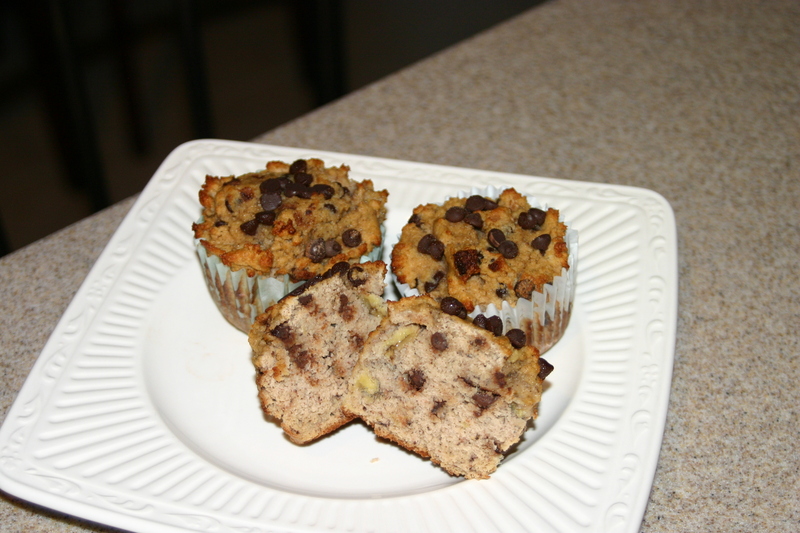 Melissa thanks for posting more recipes! They look really good. You may want to consider making a cooking site! 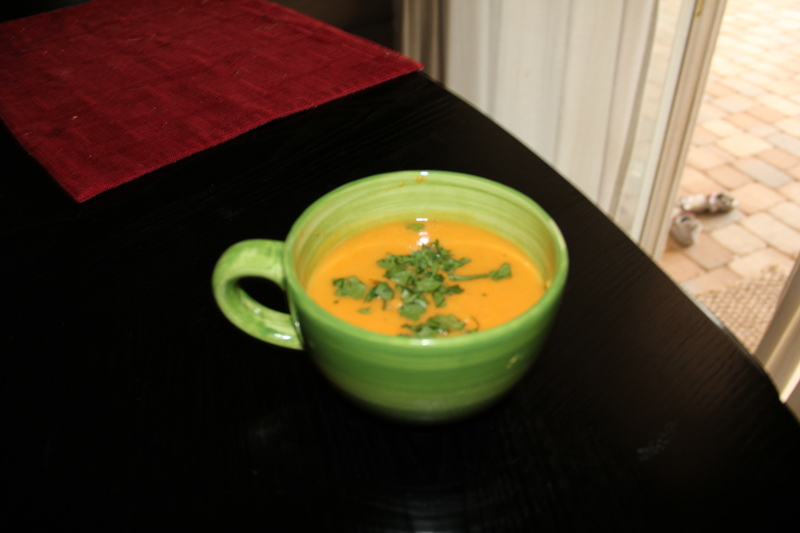 I was feeling a bit under the weather this week and soup was the only thing that sounded good to eat. Paired with a side of Salmon and I was back to healthy in no time 🙂 The cilantro made the dish so I would not recommend skimping on the fresh stuff. Have a great weekend! Warning: a co-worker said it looked like baby food and I’d have to agree that the texture was very similar but the taste doesn’t even compare. I used the above recipe, sort of. 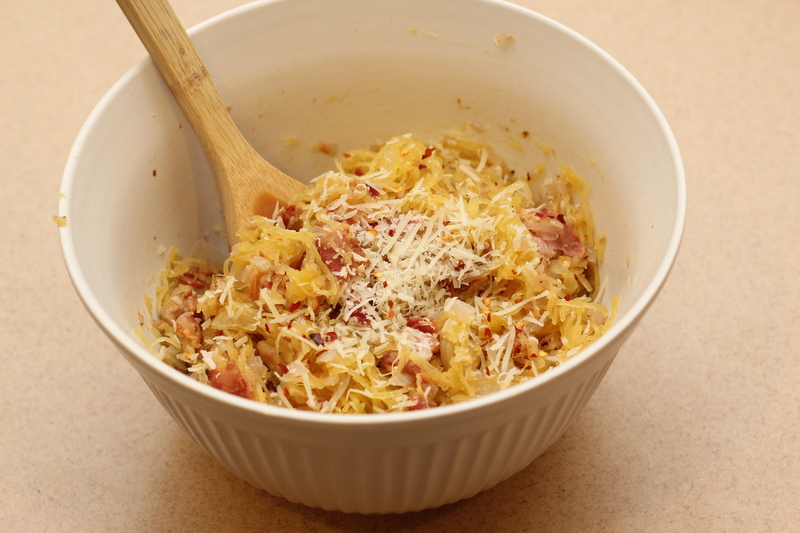 I deviated from it quite a bit but since it is such a simple recipe, it turned out fine. Instead of the tomato paste, I used a small amount of tomato sauce mixed with a bit of chicken stock. I seasoned my pork with pepper and paprika. I added a few squeezes of lemon and a handful of mushrooms. In short, its fail proof and quick. P.S. I love Kale. 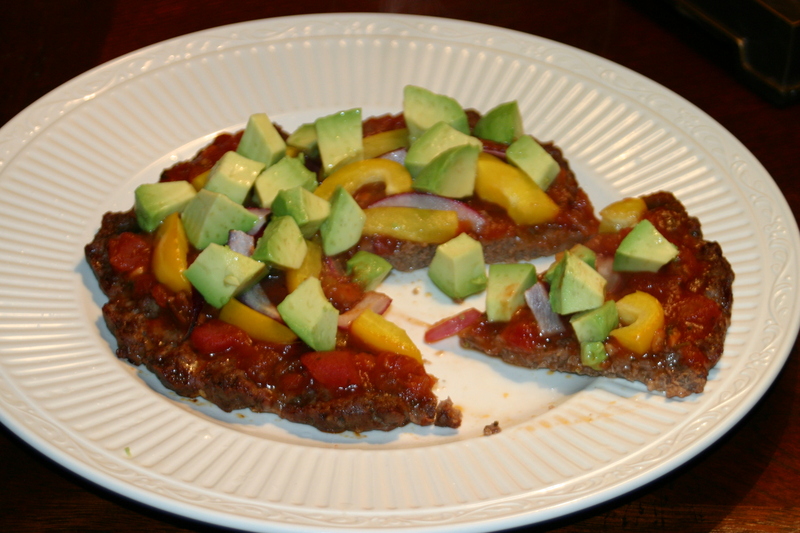 I made a Mexican Meatza tonight and this recipe has so many possibilities for so many different toppings. Here is the version I made with my notes in the original recipe below in blue. Also, check out Melissa’s Paleo cookbook too while you are checking out her website. Preheat the oven to 400F. In a large bowl, mix the ground beef with the crust seasonings until combined. Make the crust. Divide the meat in half, roll into a ball, and press evenly into an 8- or 9-inch round pie pan. Cover only the bottom of the pan and smooth the meat with damp hands until it’s an even thickness. Repeat with the other piece of “crust.” Bake for 10-15 minutes, until the meat is cooked through and the edges are brown. Leaving the oven on, remove the meat crusts from the oven and allow them to cool in the pan. Assemble your meatza. Cover a large baking sheet with parchment paper or aluminum foil and place the meat crusts on the baking sheet. Spread about 1/4 cup salsa on each meat crust, leaving a 1/2-inch border around the edges. Arrange the peppers and onions on top, pressing them gently into the salsa. Pop the pizza back into the oven for 10-15 minutes, until hot and browned to your liking. Garnish your meatza. Remove from the oven and sprinkle with diced avocado, then squeeze a little fresh lime juice over the top and sprinkle with chopped cilantro. The Paleo Comfort Foods cookbook starts out with the Authors mentioning their affinity for an authentic Philly Cheesesteak. Please note: I’ve never had a craving for this overly buttered mess of meat and hoagie (that may have come out wrong-but we’ll go with it) until I read the book that attempts to provide insight to eating and not cheating on Paleo. This craving was almost as intense as my pregnancy cravings for Gyros, so I improvised before someone got hurt…. My apologies for not taking pictures but I devoured this as if it were a timed WOD. -Chop and saute the veggies in oil until softened. Set aside. 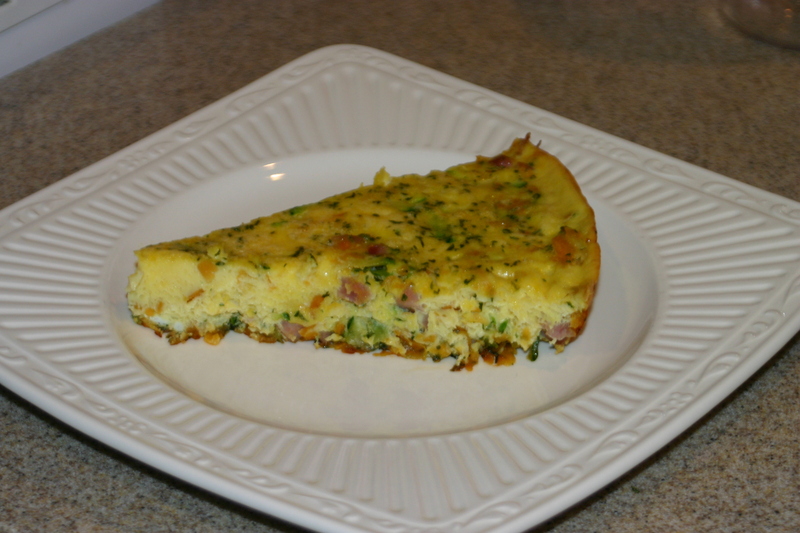 -Whip your eggs and cook into an omelet or scramble them. Scramble was much easier and tasted the same. Add your Philly ingredients and enjoy 🙂 Omit the CHEESE portion to keep it Paleo but I thought it tasted great without it. I say almost because these call for chocolate chips. If I had dark chocolate on hand I would have used that instead of chips and it would still be good. Actually, these would still be good without any chocolate. I love baking though so made these with what I had on hand. I’ll add comments to the recipe as I go along. For all the recipes I try, I only end up posting a few of them. Thought this one was worth posting even if I make a few changes next time. I love carnitas at Mexican restaurants so thought I would give this one a try. 1. Cut the pork shoulder into a few large chunks. You don’t want them bite-sized; I make mine about 3-4 inches. 2. Mix cumin, garlic powder, sea salt, and the two peppers together in a small bowl. 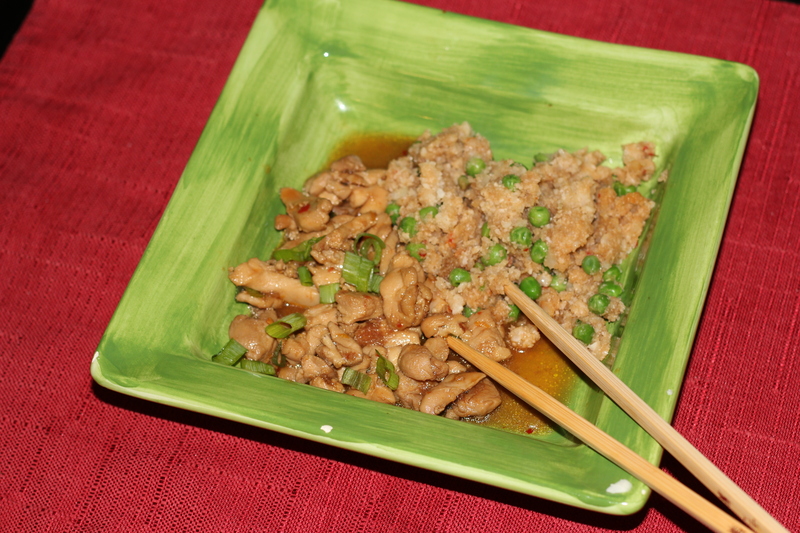 Place the pork chunks in a plastic container with a lid or a Ziploc bag. Pour in the spice blend, then toss the bag vigorously until the chunks are completely coated on all sides. 3. 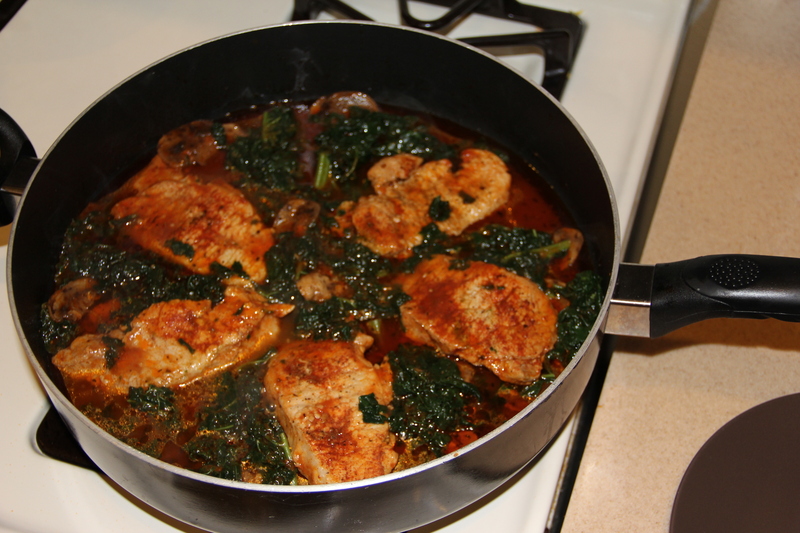 Place the pork in a large, deep pan. Pour the lime and lemon juice into the bottom, then add water to just cover the meat. 4. Turn heat to high and bring the water to a boil. You want big bubbles! When it’s rolling, turn the heat to a simmer. Keep the pan uncovered. You want it bubble a fair amount, but not be a rolling boil. While it’s cooking, it will look like uninspired soup. Do not be discouraged! 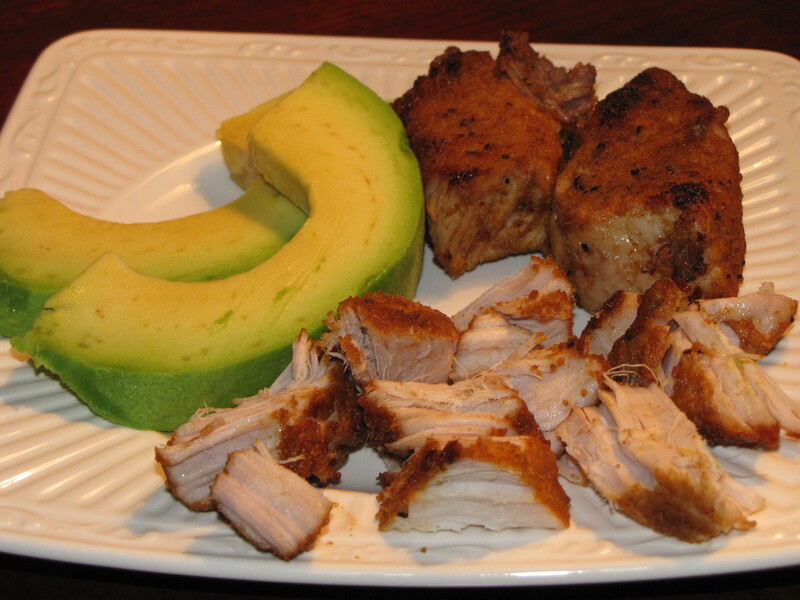 Essentially, you’re waiting for the water to evaporate from the pan, but while the water is evaporating, the powerful acidic qualities of the lime and lemon juice are tenderizing the meat. Yay, science! 5. At about the 2-hour mark, check the pot. The water should be much lower and maybe even almost gone. Now things get interesting… allow all the water to cook out of the pan and watch as the meat magically fries and carmelizes. It is a thing of beauty. But seriously, you need to watch it at this point. 6. Carefully turn the hunks of meat – without shredding them – to brown all sides, then remove the hunks to a plate and let them rest for 5 minutes before eating. If you’re into this sort of thing, you can save the pork fat from the bottom of the pan in a glass jar and use it for other cooking projects. Was thinking about what to cook today, wondering what can I just throw into a pot and let go. Growing up in Mississippi meant that gumbo was as common as rain in Tampa. To us gumbo was just a conglomeration of leftovers, whatever wasn’t used for the other thoughtful meals. Sometimes we planned for gumbo, with the best ingredients, measured accurately. But what’s the fun in that? You make some wonderful flavor discoveries when you just throw some junk in the pot and let it go. So instead of thinking about what I didn’t have, I focused on what I did have. A pound of Italian sausage, a frozen chicken quarter, and jalapenos. I ran warm water over the chicken to thaw it a little, and put it in with the bone about 3 quarts of water on medium heat. I cut up the raw sausage and put it in as well. Chopped the peppers, and added those, seeds and all. When it started a rolling boil, I turned it down to medium low and let it continue boiling. Next I just added a few spices: pickling spice, sea salt, oregano leaves, crushed and ground red pepper. I didn’t have tomato sauce so I added two 6 oz cans of V8 juice and hot sauce. I think it cooked for about 3 hours before I pulled the chicken apart and put the bones back in, and cut up the sausage. I added about 1/8 cup of gumbo file, and let it cook for another half hour. Done. This should last for at lease three days of lunches as well. Just a greasy, fatty, spicy pot of heaven. Fat is not as bad as we’ve been told, as it promotes satiety and is essential for good health. Leaving everything in the pot, including the fat and the bones (marrow) is just the best and most efficient way to retain the nutrients until they get to your gullet.